SOCIEDAD DE BIBLIÓFILOS CHILENOS, fundada en 1945: "In the Library" by John F. Peto (1854–1907). "In the Library" by John F. Peto (1854–1907). 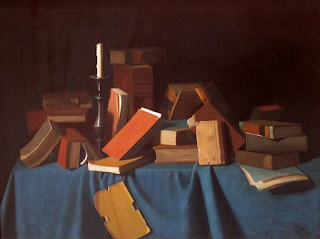 "In the Library" by John F. Peto (1854–1907). Timken Museum of Art.